Each station presents three areas: graphics and small artifacts on top. 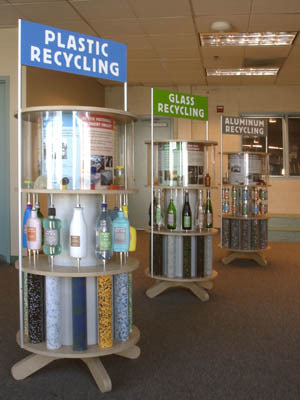 Main artifacts with Q&A in middle, and recycled materials at bottom. Photo: Dennis Letbetter. The inspiration for the design. Each station is sized for grade school children. Photo: Dennis Letbetter. All main artifacts swivel around aluminum rods. Artifacts are filled with hardened industrial resins. 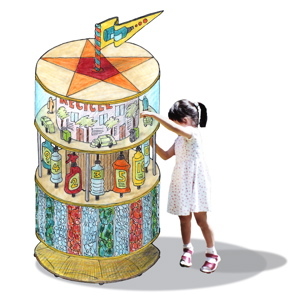 Interactivity was to be on a very basic level, such as turning an object. 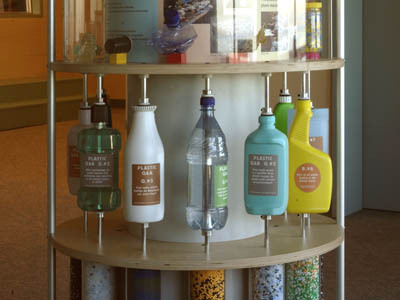 Original design had a large cylinder at bottom holding the recycled plastic pellets, but was later changed to smaller tubes. Colored areas on the floor define the exhibit within a larger space. 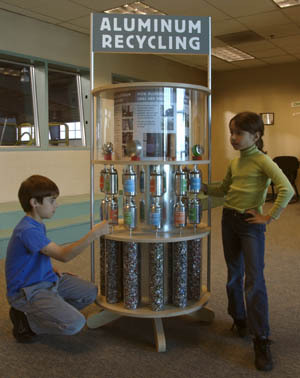 Recycling exhibit for children's education center. This exhibit takes its inspiration from a timeless form of kid entertainment: the old fashioned horse carousel. 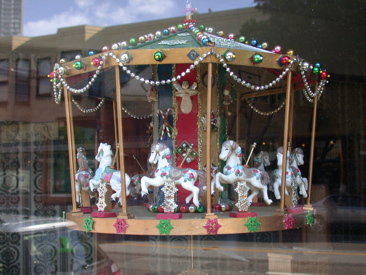 The artifacts are presented in the exhibit like a circular arrangement of toy horses. 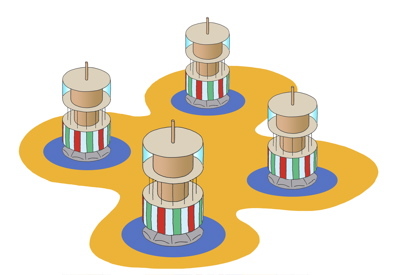 Like the horses in a carousel, the bottles and containers are suspended on the poles, but they can also spin around, showing all sides of the artifact. The stations themselves can turn like a carousel. 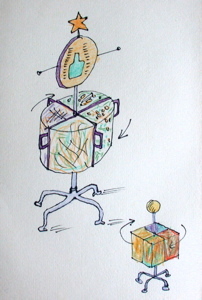 Industrial design consultant: Mark Kapka. Fabrication: Kane Design Studio.